A native of New Zealand, Cameron Rhodes is an actor who has appeared in various TV shows and films , he has appeared in over 60 theatre productions in NZ, playing roles including Cyrano in Cyrano De Bergerac. 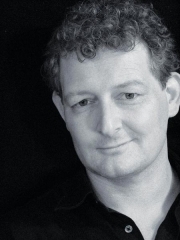 He appeared most recently as Earnest in Design for Living at The Auckland Theatre Company, and as Tiger Brown in The Threepenny Opera, Dir Micheal Hurst for the Silo Theatre. Whole or part of the information contained in this card come from the Wikipedia article "Cameron Rhodes", licensed under CC-BY-SA full list of contributors here.